The Glengarry, Nor'Westers & Loyalist Museum offers a wide range of educational activities and programs as well as hosting exciting events. These events range considerably to fit all sorts of interests and many are family friendly and suitable for all ages. 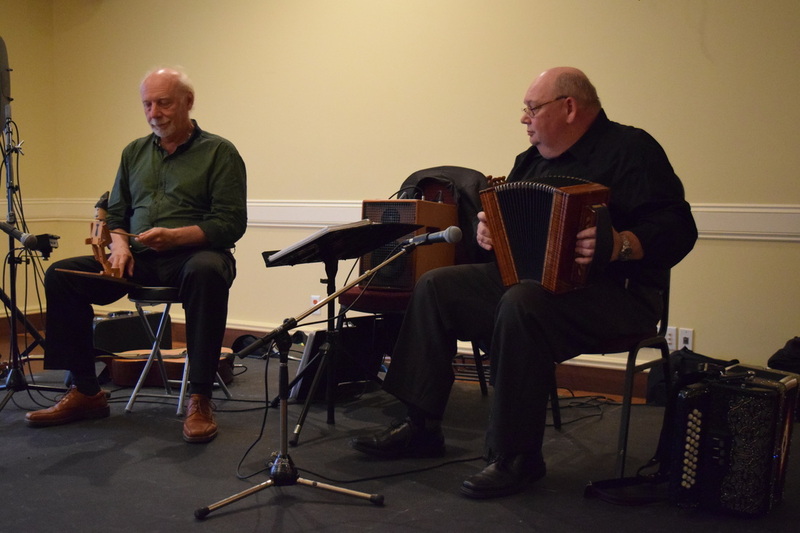 While staying at the Hotel L'Oiseliere in Montmagny, QC during our Terrebonne & Grosse Île trip last June we enjoyed some lively local music by Bruno Gendron, on guitar, and Raynald Ouellet, on accordion (one of which he had made himself). They gave us a delightful taste of the region's strong culture and even had some of us Glengarrians up two-stepping! Check it out on our Facebook Page! Montmagny is also home a museum designated to the history and cultural importance of the accordion call the Musée de l'accordeon. Our "Salute to Farmers of South Glengarry" exhibit kicked off the 2016 summer season of the Glengarry, Nor'Westers & Loyalist Museum on May 21st 2016. The opening weekend featured an While the main indoor exhibit will run until the end of July, an additional outdoor exhibit will be mounted for the Victoria Day weekend in May where farm machinery and implements will be displayed. 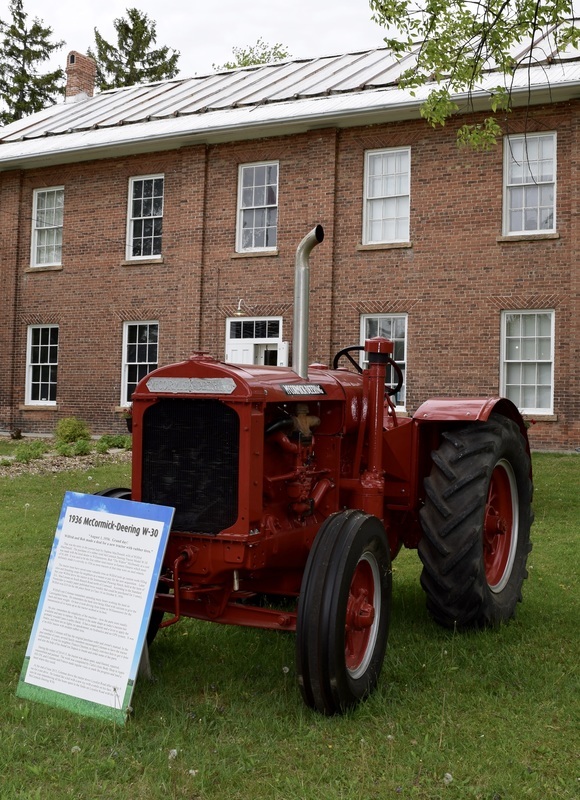 One such popular historic piece was the first rubber tried tractor in the area which was bought in 1936 and lent out to the museum by Coleman McDonald at Lansingdale Farms. "August 1, 1936. Grand day! Wilfred and Bob made a deal for a new tractor with rubber tires." That was the entry in the journal kept by Daphne MacDonald, wife of Wilfrid MacDonald. 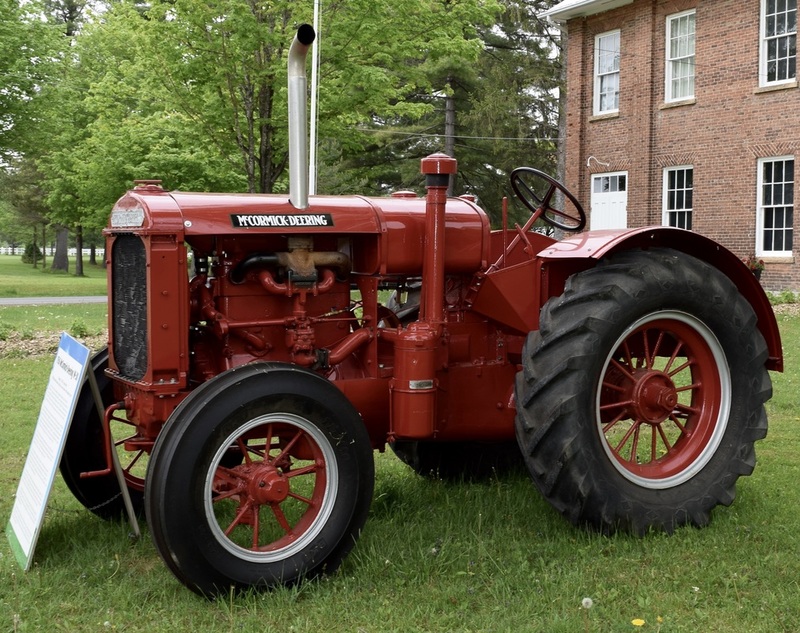 The purchase of a rubber tired McCormick Deering Tractor Model W-30 was made with the local dealer in Williamstown, Bob "the widow" McDonald, at a cost of $1,408. It was said to be the first rubber tired tractor in Eastern Ontario which most definitely made it a novelty in 1936 as most tractors at that time were on steel wheels. The tractor must have saved some valuable time as Wilfrid took up custom work filling silos and thrashing crops for neighbours as a means to pay for the new acquisition. Later that year Wilfrid drove the tractor in the International Plowing Match, held at the farm of D.L. MacLennan on South Branch Road north of Cornwall. According to the Standard Freeholder (a weekly paper published twice weekly that could be purchased for 3 cents), Wilfrid won $10 for his 4th place finish in Class 16 on October 8th, 1936. Wilfrids' son, Coleman, remembers spending many hours working the land on Lansingdale Farms. He remembers the back tires being filled with calcium to give the back end more weight. He also recalls that it took driving from home to Williamstown for the transmission oil to warm up so the tractor would work at its' best. He also remembers the simplicity of the machine; how the parts were readily available and easy to replace. The tractor is the same shape as todays' tractors but probably wouldn't pass a safety check. It has a crank starter and a lever to apply the brakes and there are no lights, no speedometer, no hydraulics, and no GPS system. It was a 'no frills' tractor with modern rubber tires. Amazingly, Coleman still has the original purchase order and owners' manual. In the past number of years, several family members encouraged Coleman to have the tractor refurbished. It took his neighbour, Francis Chretien, to finally convince him to get it done and also the help of his friend Joe Dupuis to locate and order some of the parts. During the winter of 2014/15, the tractor was taken apart, sand blasted, repaired, reassembled, and painted. The work was completed by Carls' Auto Body Shop in Apple Hill, Ontario, and Coleman and Francis made regular visits to mark the progress and lend a hand where they could. At the end of June 2015, Coleman drove the tractor down Loyalist Road after taking it out for a test drive. He looked like a kid with a new toy with a smile on his face. I'm sure he was remembering all the hours spent in the fields on Loyalist Road with his 1936 McCormick Deering W-30. The Glengarry, Nor’Westers and Loyalist Museum will be raffling off a brand new 16′ custom built Kevlar canoe in the upcoming spring and summer season. Built by the Swift Canoe and Kayak Company, this canoe is durable yet ultra-light, making it perfect for spending days on the river or lake paddling and portaging. With these canoe you can enjoy outdoor excursions just like our fur trading explorers of history but without the same heavy load to carry when it’s time to pack up. Tickets will be available for sale at the museum, from museum Board of Directors members, and at various community events. We will be displaying the canoe in various locations so that people can take a peek at it with our first stop being the Raisin River Canoe Races (how appropriate we thought). The canoe will be raffled off with two paddles, so you won’t be caught up the creek without them, but the winner also has the option of claiming a $2000 cash prize rather than the canoe itself which is valued at over $3000. Tickets are 1 for $5 and 3 for $10. The canoe will be raffled off on the last day of the Williamstown Fair, Sunday August 7th, 2016 so look out for us there if you’d like a last minute ticket. Big thanks to Tim MacDougall who conceptualized and initiated this exciting fundraising opportunity for the museum! UPDATE: Isabelle from Ottawa was the lucky winner of the canoe, congratulations Isabelle!